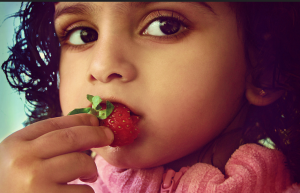 For the child who has experienced trauma or malnourishment, healthy eating patterns can be hard to achieve. Nutritional help and support are often of utmost importance for the entire family. Our nutrition counselor will work with your family to provide plans and strategies for healthy intake, as well as emotional support during the process. At your initial intake meeting with our Nutritionist, she will evaluate your child’s feeding and eating patterns, as well as the feeding structure in your family. She will work with you to devise a plan for increased health through food and feeding, and educate you and your family on TBRI principles as they relate to your child’s eating habits. Interested? Fill out our Intake Form to get started.